The UC Davis Tahoe City Field Station is located just east of Tahoe City on the southwest corner of Highway 28 and Lake Forest Road (west entrance). 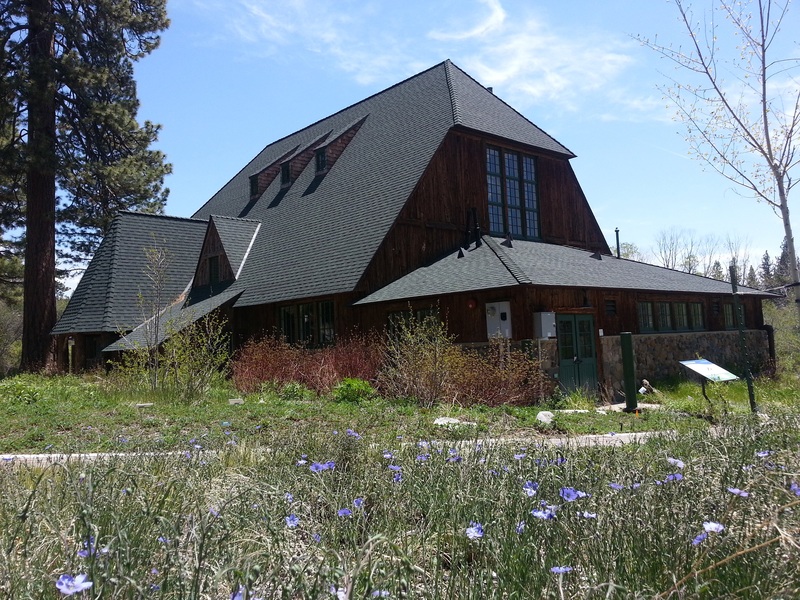 It houses the Eriksson Education Center and is surrounded by a 3-acre native plant demonstration garden. In 1920 construction of the Tahoe City Fish Hatchery was completed by California Fish and Game. Originally the building was used as a fish hatchery where fish such as Lahontan Cutthroat Trout, Kokanee Salmon, Eastern Brook Trout, Rainbow Trout, and Brown Trout. It was discovered that due to the colder Tahoe temperatures that the rate of fish growth was very slow and therefore could not keep up with the increasing demand for larger fish. California Fish and Game continued to occupy the building until 1975 when Professor Charles Goldman utilized the space for the UC Davis Tahoe Research Group (now UC Davis TERC). UC Davis purchased the site and raised money for the renovation you will see today. We are located at 2400 Lake Forest Road, just east of “downtown” Tahoe City. The UC Davis Tahoe City Field Station (also known as the “Historic Fish Hatchery”) is a large barn-style building that was built in 1922 and was recently renovated. It is tucked behind the trees and shrubs on the south-west corner of Lake Forest Road and State Route 28 (also called North Tahoe Blvd). Take SR 28 WEST towards Tahoe City. ﻿After Dollar Hill, pass the first Lake Forest Road entrance (on your left). Turn LEFT at the second Lake Forest Road entrance. Take an IMMEDIATE RIGHT onto the bike path (you will be on the bike path for a very short distance, look out for pedestrians and bikers). Take an IMMEDIATE LEFT into our parking lot. From Truckee, take SR 89 SOUTH to the light in Tahoe City. Continue STRAIGHT through the light in Tahoe City onto SR 28 heading EAST through downtown. ﻿Turn RIGHT at the first Lake Forest Road entrance (approximately ¾ mile from the end of “Downtown” Tahoe City where Safeway is located).